As Christians we are invited to share in God's generous giving. By doing so we fulfill our lives as disciples of Jesus Christ, resource the Church's mission and ministry, and make a contribution towards God's mission of love and transformation. The bible teaches us that we should give not out of fear, duty or in an attempt to win God’s favour but out of gratitude; because the Lord has given to us, we should give back to Him. As Scripture proclaims everything belongs to God, we manage the property of our Lord. Since everything belongs to Christ, we need to have the attitude and view that our things are His things, our stuff is His stuff. Regularly - we pay most of our costs monthly, so it is good to get monthly income. 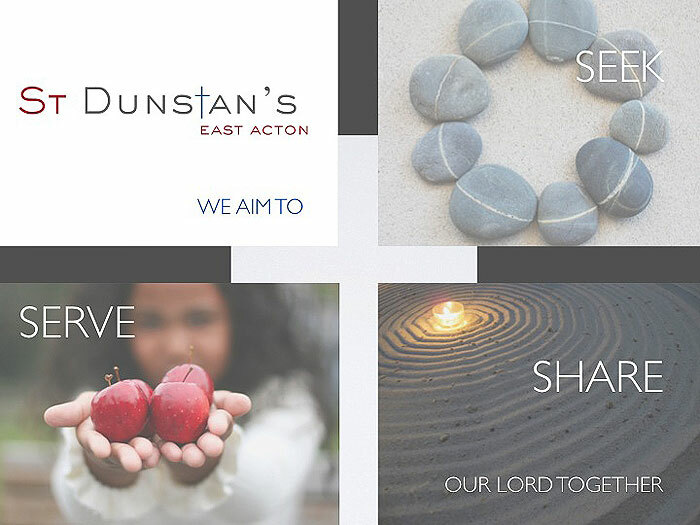 Tax Efficiently - if you are a tax-payer and you fill in a Gift Aid form, St Dunstan’s can get all your tax back - an extra 25%. Realistically - our budget is over £100,000 per year, and we get no subsidies from the Church of England or the Government. Everything is paid for by our giving. Proportionally - our incomes vary, and can rise and fall with time, so the best way to give is proportionally. A tithe (10% of income) is the Bible’s guideline. For some, this may be too much; for others it is a starting point. Via the Parish Giving Scheme (PGS) through direct debit. There are forms available in church to sign up. This is our preferred option as PGS handle all the administration and Gift Aid claims and do not charge for this service. One-off gifts in Sunday services or to the office as cash, cheques or card payments. To apply Gift Aid, use the yellow envelopes available in the back of the church.